Gas port drilled for carbine length gas set up, and threaded for comp. Barrel Extension in rear with M4 feed ramps... drilled with a .093" gas port opening at carbine length. It has a .750 gas block diameter, ready to install into receiver. 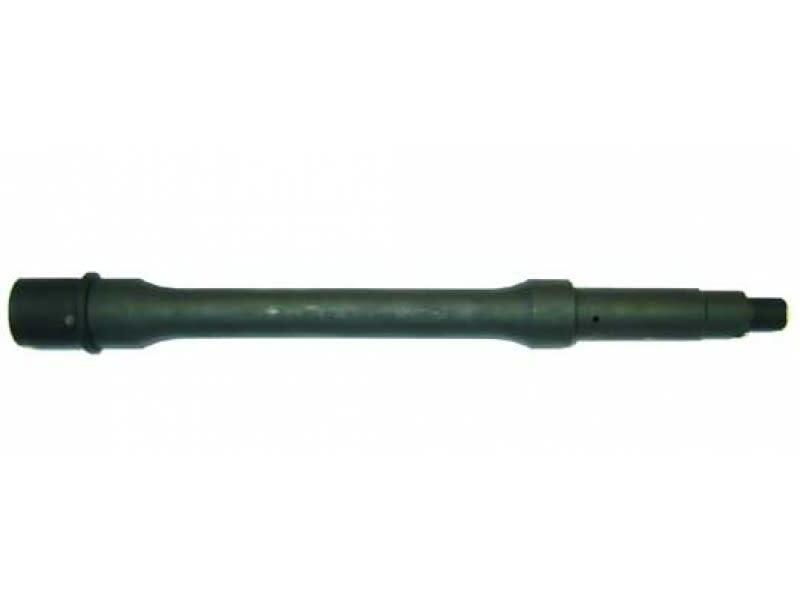 This is a premium grade 10.5" Parkerized AR-15 Contour profile barrel from a highly respected U.S. contractor / barrel manufacturer. When it comes to AR-15 barrels these Beautiful H-Bar beauties are the granddaddy of them all. Barrel Extension in rear with M4 feed ramps ready to install into any standard AR receiver. 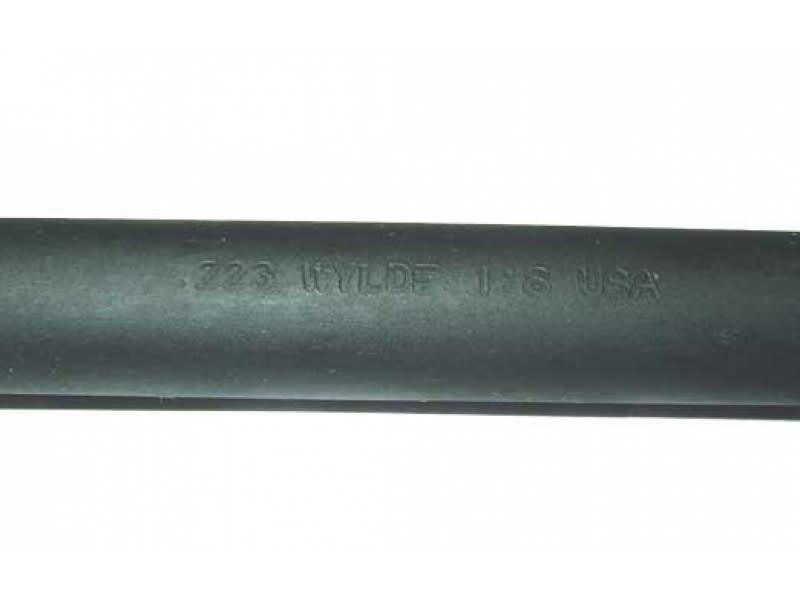 Barrel is chambered as .223 Wylde for either commercial .223 Remington or 5.56 NATO rounds. These barrels are made from 4140 cold rolled steel and are rated at a barrel life of approximately 150,000 rounds. They are very top end. and since virtually all .223 / 5.56 NATO is non corrosive...most AR manufacturers do not chrome line barrels. Each parkerized barrel starts with 4140 Gun Barrel quality steel. Heat Treated and Stress Relieved to a hardness of Rockwell C 28-32. Or we use the 416 Gun Quality Stainless Steel for our Stainless Steel Barrels. Each barrel is manufactured on modern CNC equipment to completely machine the barrel. We drill, ream, rifle, turn, chamber ream, pin the Barrel Extension, drill the gas hole, and mill the flutes, all on late model CNC Equipment. The Barrels are manufactured under the ISO 9002 Quality System, and go through a Final Inspection before shipping.